As the world watches on Syria is torn apart by a vicious civil war with millions caught in the middle, giving Syrians little choice but to flee. Turkey is seen as a safe option and thousands of Syrians have made their way across the border. What awaits them is far from ideal. 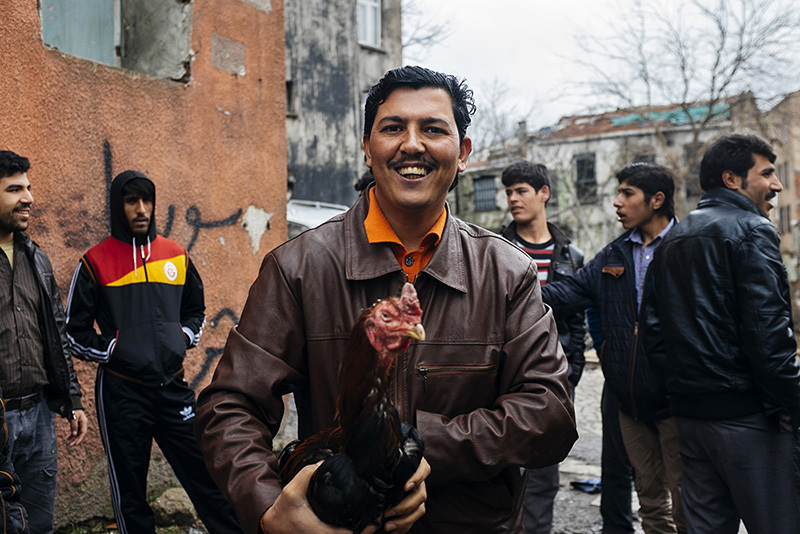 In this two part photo essay, Yücel Zorlu of Agence Le Journal gives us an insight to the daily lives of the Syrian refugees living in Turkey. The number of Syrians fleeing their homes due to the Syrian civil war since 2011 rises day by day, especially in Turkey. According to the UNHCR, the population of the refugees in the metropolitan and border cities of Turkey is approximately 1,730,o00. This number is estimated to reach 2 million shortly. Some of these people live in camps known as “çadır kent” (shelter tents) and most of them in metropolitan and border cities. Away from the camps the “Küçük Pazar” neighbourhood in İstanbul is the most populated district. 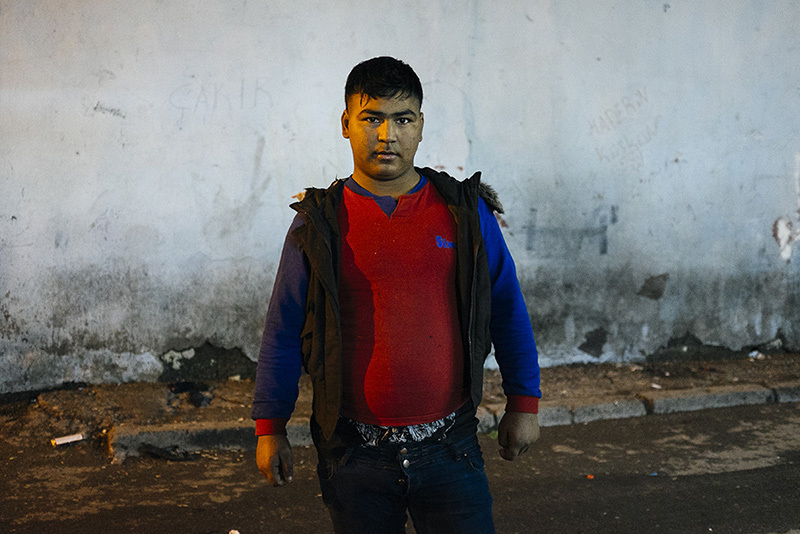 Some of the refugees, who say that they came to big cities hoping to find job, are illegally employed or seen as cheap labor. 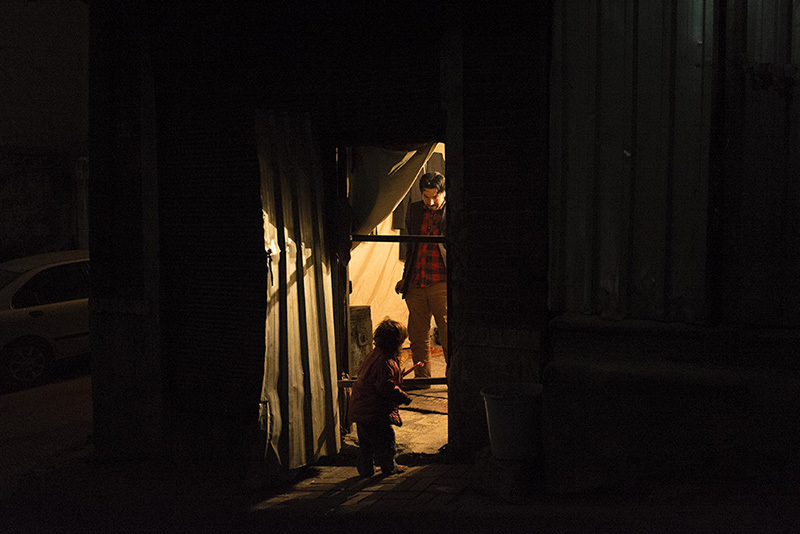 Most of them do not have regular income and have shelter and nutrition problems. In general, the Syrian refugee population needs the support of local residents, government and non-government organisations and international aid organisations, to meet their basic daily needs. A Syrian stands in front of a local coffeehouse. 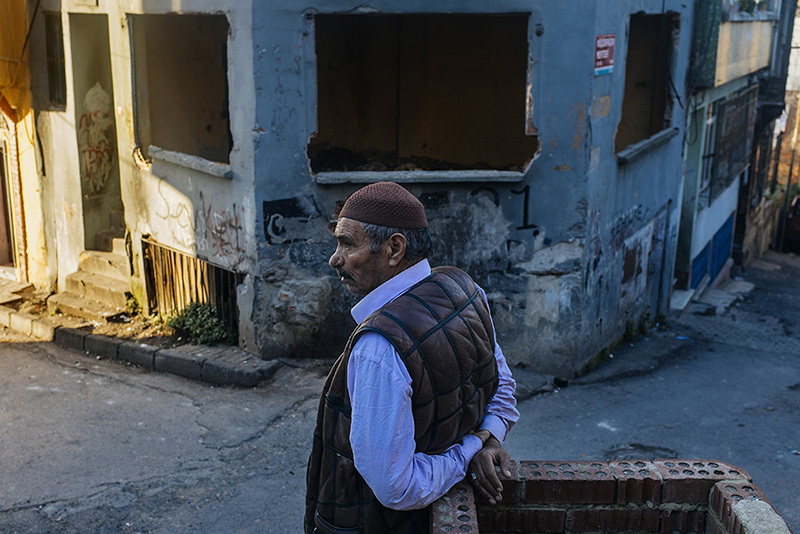 An old Syrian man waits in front of a building set to be demolished for an urban transformation project . 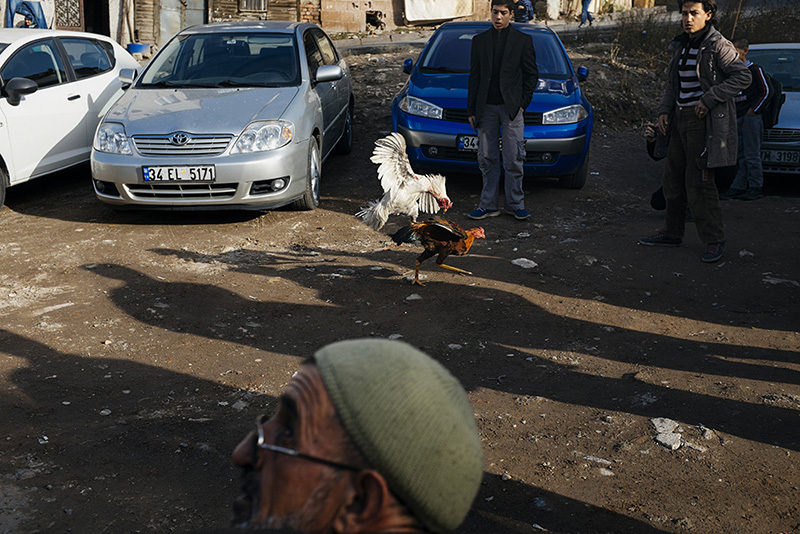 Cockfights are frequent occurrences in the Syrian districts. 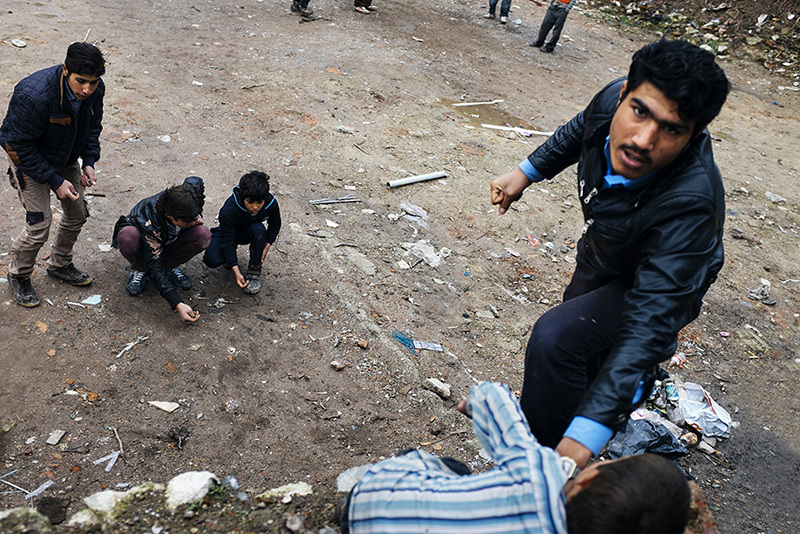 Syrian children play with marbles in the waste land. 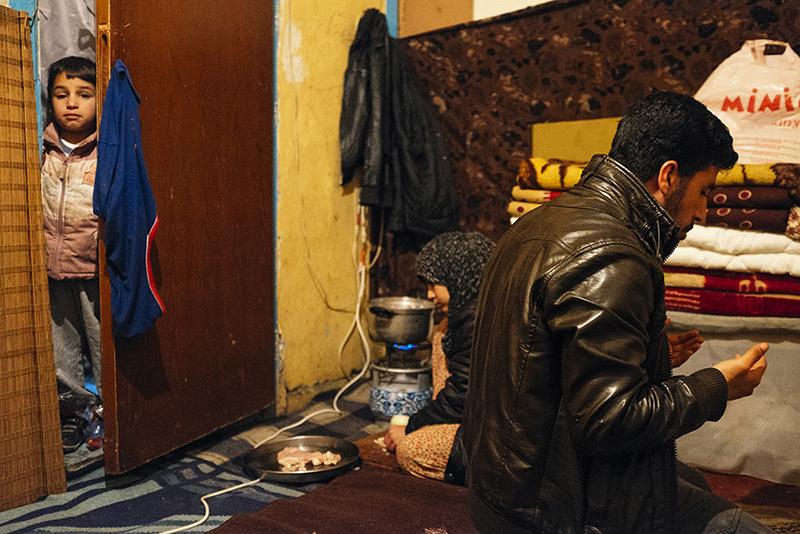 Syrian refugee Süleyman is performing his prayers in his small room before dinner. 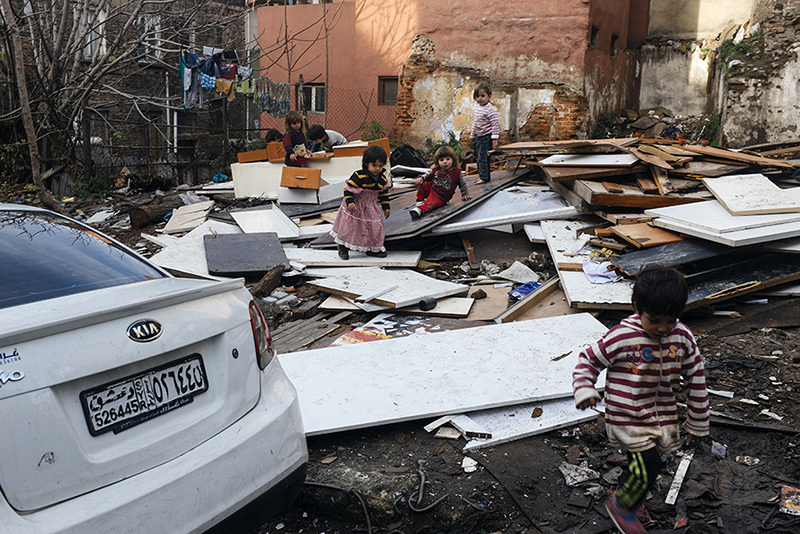 Syrian children play among the demolished buildings. 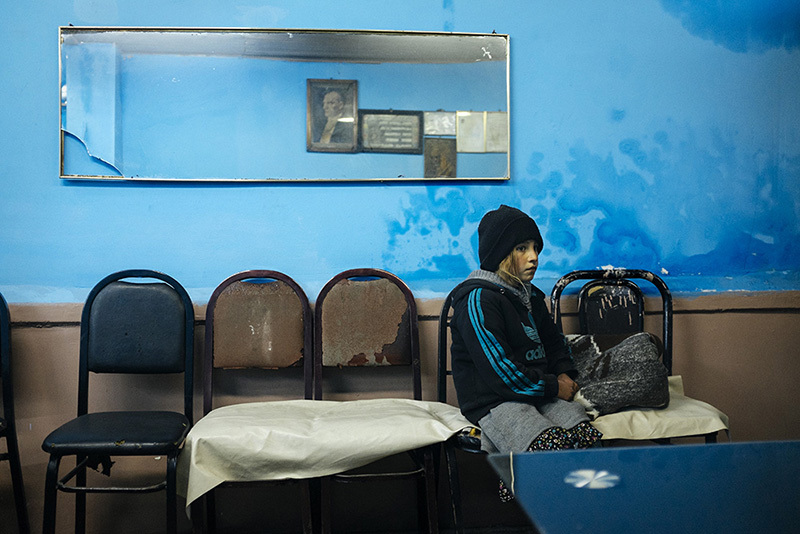 A young Syrian teenager, waiting in front of an internet cafe. 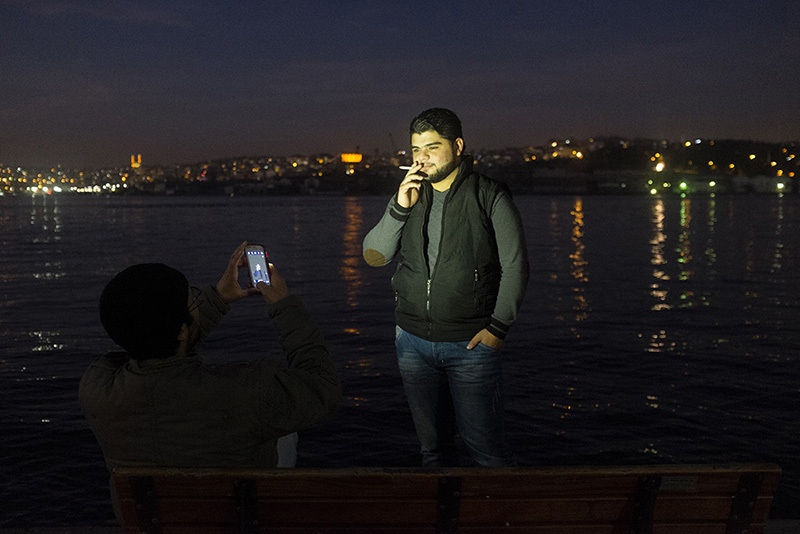 An internet cafe where Syrian refugees go to speak with those left behind. 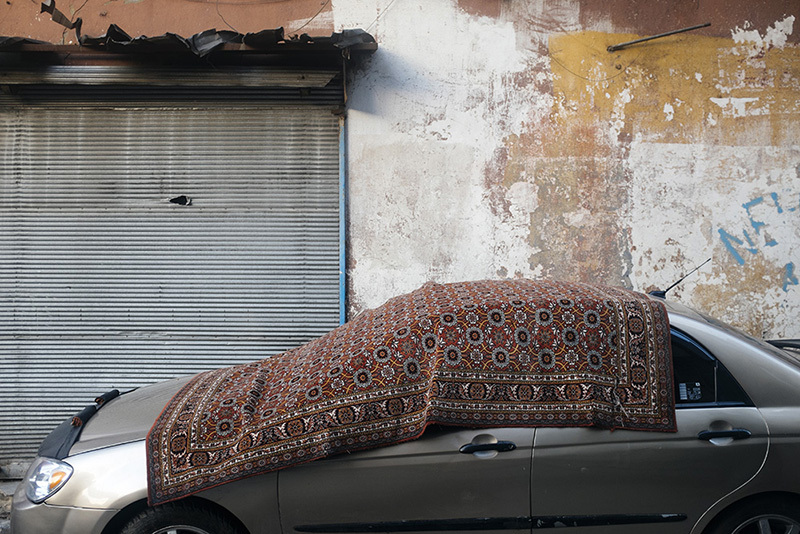 Carpet washed by Syrian refugees, drying over a car. Syrian youngsters, taking photographs in front of Haliç scenery. A Syrian family living in a building evacuated for an urban transformation project. 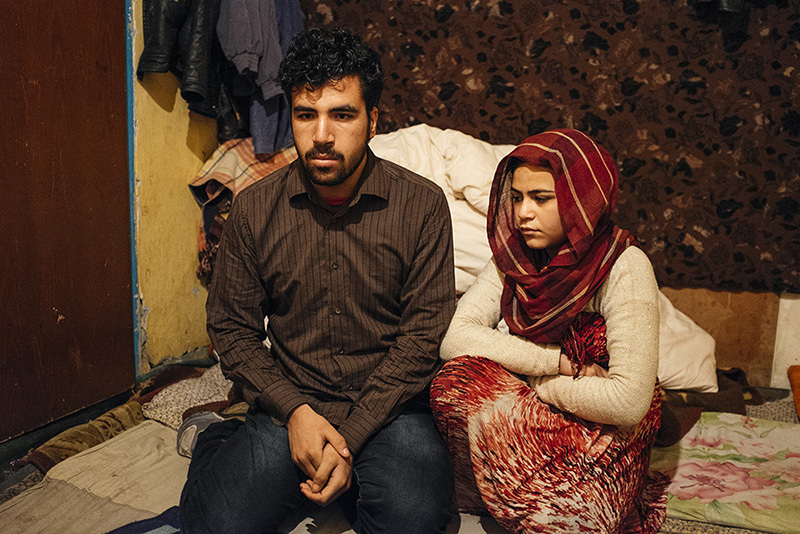 Syrian refugee Süleyman and his wife. 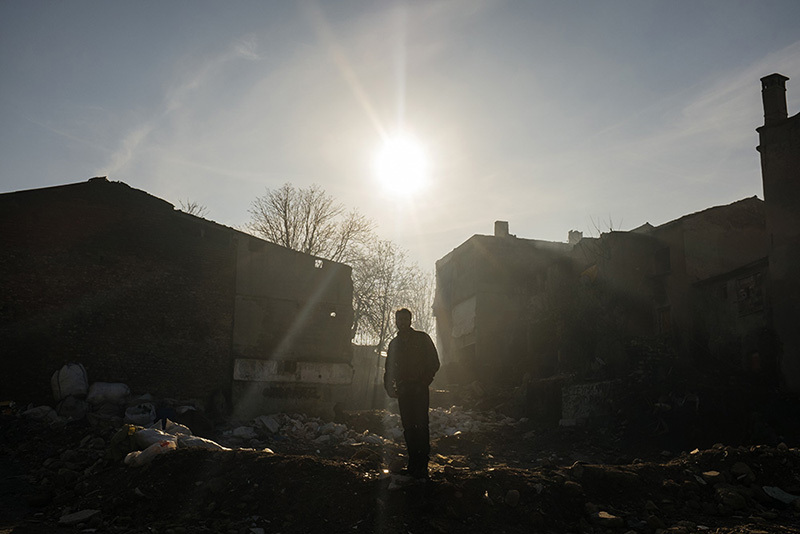 A Syrian refugee, standing in front of a demolished building. 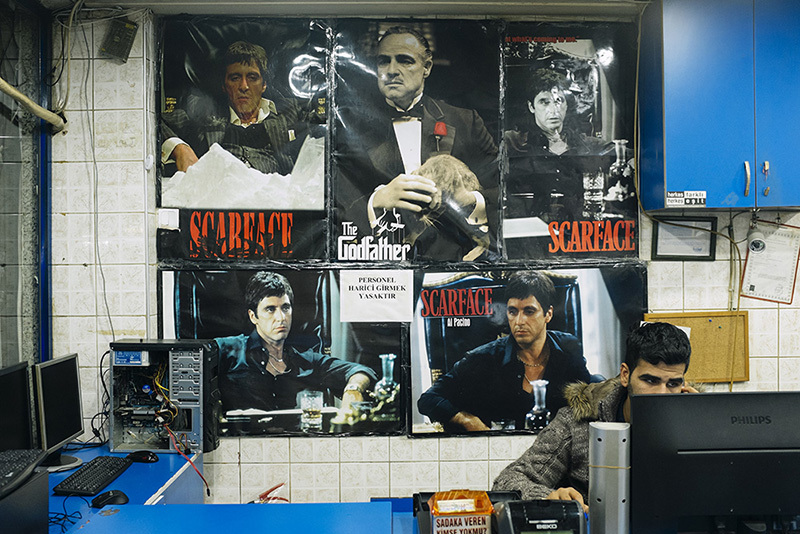 Yücel Zorlu is a photographer from Istanbul, Turkey. 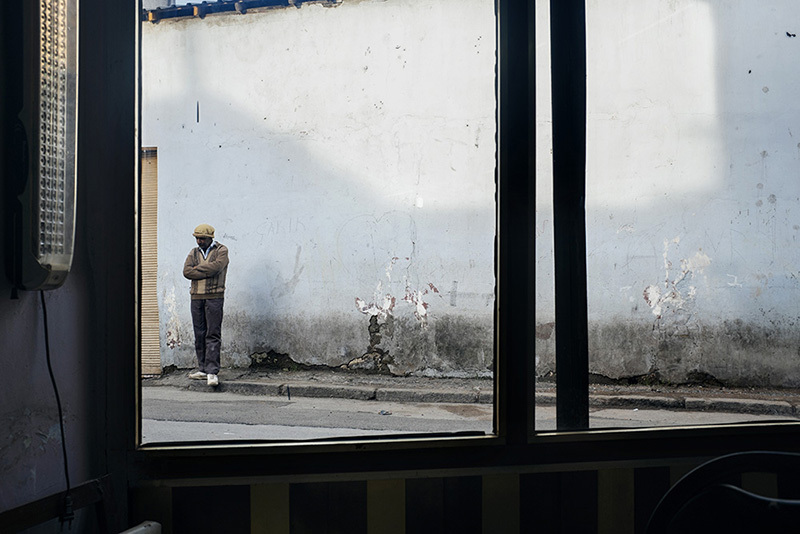 He is represented by Agence Le Journal, for his documentary and art photography.